The new Miss Universe will be crowned tonight! Who will it be? The winner of Miss Universe 2017 beauty pageant will be crowned at The AXIS in Planet Hollywood, Las Vegas, Nevada on Sunday, November 26, 2017. 92 contestants from around the world will compete this year for the coveted crown. Miss Universe 2016 Iris Mittenaere of France will crown her successor at the end of the event. The Miss Universe 2017 pageant will be broadcast live on Fox, Azteca and in hundreds of local television networks around the world. 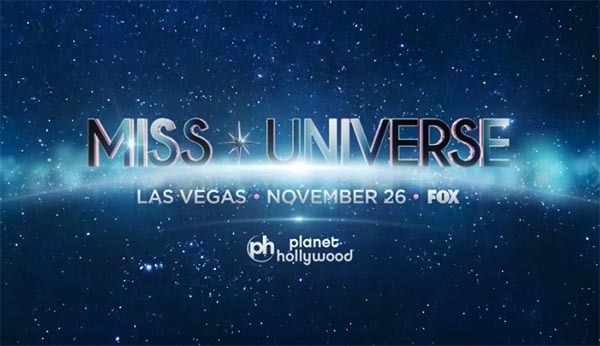 The prestigious event is also available to watch online via the official Miss Universe live streaming channel on Youtube, PlayStation Network and Xbox Live. Event presenters are Steve Harvey and Ashley Graham plus a performance from guest artists including Fergie and Rachel Platten. Keep locked on this page, final results, videos and winners will be posted on this page once announced. Tune in to the live telecast of Miss Universe 2017 tonight at 7/6c only on FOX.